A sorry tale of neglect is revealed as Bristol City Council submits a listed building consent application to demolish Grade II listed building, Nos. 254-256 Two Mile Hill Road, Bristol. A pair of Georgian cottages with 2-storey Victorian shopfront additions, the building’s significance lies (to quote English Heritage) largely in its rarity as an early example of this building type in this area. While the situation has undoubtedly been complicated by ownership issues, it is extremely disappointing that the Council has failed to protect this listed building, despite their having the necessary powers at their disposal and knowing for nearly two decades it was falling into disrepair. • BCC’s Dangerous Structures Team (DST) ” has been aware of structural problems at 254-256 Two Mile Hill Road… for at least 18 years.” – i.e. since 1996. • The building’s parlous condition has been regularly noted in BCC’s Listed Buildings at Risk Register since 1998. • In December 2004 a Section 54 Urgent Works Notice was served on the owner, after which a temporary roof repair was carried out. • A further eight years was then allowed to pass before the DST, becoming concerned at the stability of the buildings, convened a site meeting in October 2013 with English Heritage and others to inspect the condition of the building from the outside. 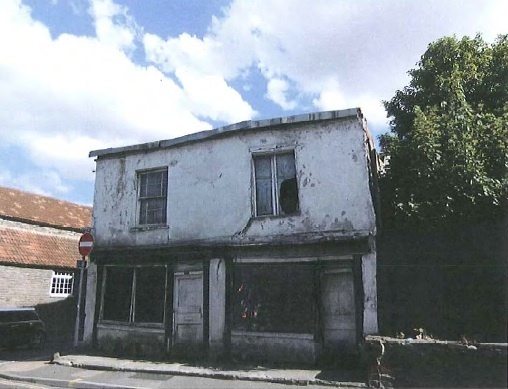 This revealed that “…the building is in extremely poor condition…” and that it will “…ultimately collapse onto the public highway… with serious risk that this will cause injury to the public”. English Heritage wrote to BCC in january 2014, saying “It is clear that the amount of work required to stabilise the building would involve the loss of a large amount of historic fabric, and it is questionable whether or not the building would retain a notable level of significance following any works carried out. The application for Listed Building Consent can be viewed here.